A walk around Anamoose finds a very large percentage of yards spruced up. I can see the pride residents are taking in their community. The nice rains we have had have helped keep the grass green. Just this past week on Main St. Angie & Emanuel Kesler had their house painted & Bob Becker moved out his garage & looks like he is preparing for a new one. Last night I heard that the old gold house west of the school will be torn down. 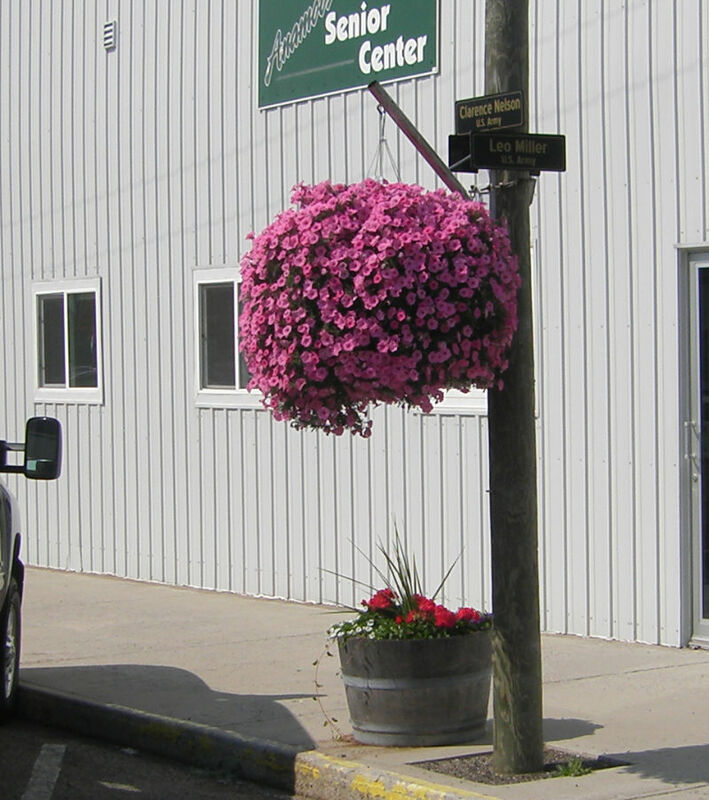 The 8 hanging baskets on Main St. resemble large round pink balls. Linda Dusek & Janice Bucholz planted flowers in the pots on the corners, so there is lots of color as you drive down the street. Jerry Helm is watering the flowers again this year. Mark & Corinne Engen are preparing the corner lot south of them for their new manufactured home that hopefully will be here before school starts. On the lot south of that Ted Mertz is putting up a garage. Ted has also been working on the Wagner house-gutting out the inside & tearing off the garage.